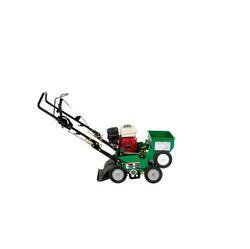 -High-productivity overseeder dethatches and overseeds in one pass. 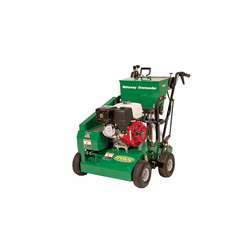 -Fill in bare spots, improve density and color of turf and establish improved grass varieties. -Reduce the amount of fertilizer, water and pesticides required. -Easy Selection, Precise Control - Heavy-duty snap out reels with 2" spacing and depth control for the results you expect. -Seed Flow Control - Adjustable overseeder for proper turf seed flow; Clear seed tubes allow operator to check seed flow; Seed flow automatically stops when reel is raised.